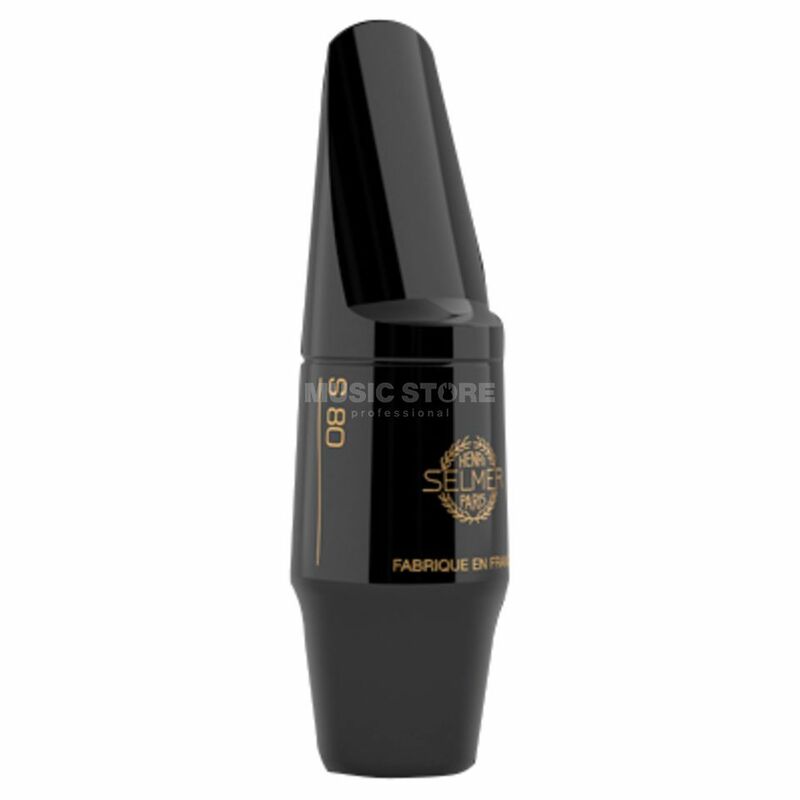 The Selmer S-80 Rubber Mouthpiece For Soprano Saxophone C+ is a soprano saxophone rubber mouthpiece, featuring a square chamber, with a round tone. The Selmer S-80 is a rubber mouthpiece for soprano saxophones with a square chamber making this particular mouthpiece universally applicable. The S-80 has a large sound volume, a distinct dynamic range, a round sound and light and precise respond.